Sophie, owner at Pretty Little Poppet, a clothing designer/maker based in Birmingham, had seen my work on Instagram and asked me to create a Christmas postcard design that would go into parcels for her customers over the festive period. Sophie's clothing collections are always filled with gorgeous prints, and a favourite being the paisley, we incorporated these into the final designs. 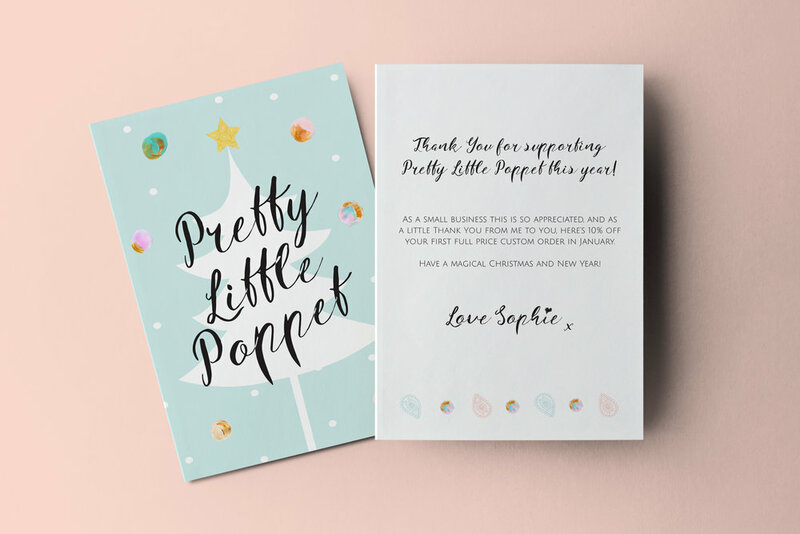 Bright pastel shades formed the colour palette, reflecting Pretty Little Poppet's style and we used a hand writing style typeface as Sophie wanted the design to have a hand crafted feel. I went on to design a GIF that could be shared across Pretty Little Poppet's social media channels.